“I’m happy for the team, all the fans, we needed that, even if it was not a match for the purists,” the coach said afterwards. Earlier on Saturday Uruguay striker Edinson Cavani saved a disjointed performance from runaway leaders PSG to maintain their 100% start to the season ahead of the crunch Champions League clash with Liverpool on Wednesday. His goal put PSG a full 15 points ahead of second placed Lyon, who prevailed in a tight derby with Saint-Etienne on Friday night thanks to Jason Denayer’s second-half header. Email “Thierry Henry's Monaco have finally won a game”. 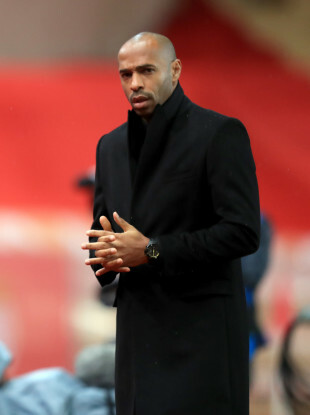 Feedback on “Thierry Henry's Monaco have finally won a game”.